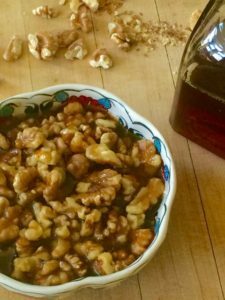 Wet walnuts is an indulgent, salty-sweet concoction of toasted nuts and pure maple syrup that will knock your socks off. 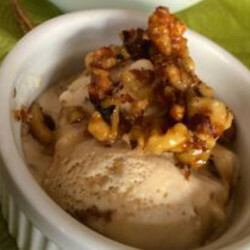 I was introduced to the ice cream topping known as “wet walnuts” at a young age. Were you? (It could be a Canadian thing). 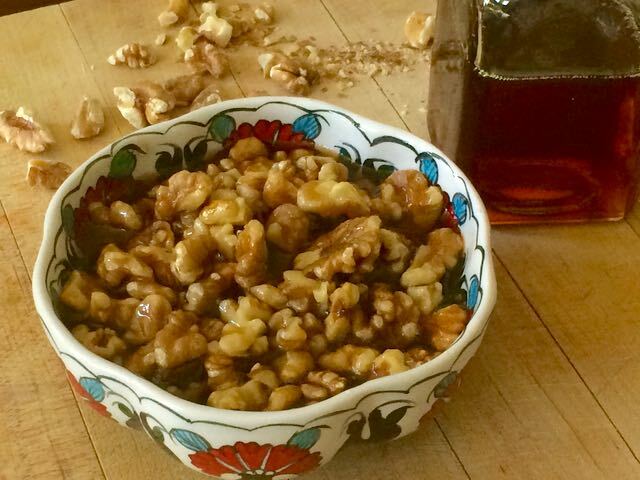 I won’t lie: practicing restraint is pretty difficult when this mouth-watering, maple-walnut treat is poured over ice cream (or waffles) or eaten directly out of the bowl with a spoon. 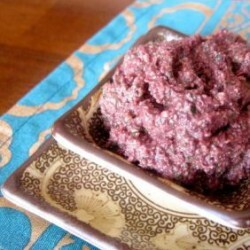 It’s also great served with fresh fruit and plain yogurt. Even so, I strongly encourage you to find your will-power and make this recipe for a special treat every so often. Toast walnuts. Turn oven on to 425 degrees F and pour walnut halves (or chopped, whichever you prefer) on a cookie sheet. Place in oven immediately. As the oven heats up, the walnuts will toast in about 5-7 minutes. Check to make sure they do not burn. (Or toast using your preferred method–there are many ways to do it.) Cool completely. Mix it up. 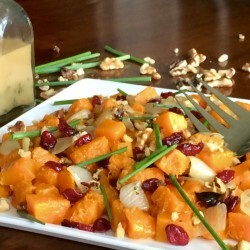 Stir all ingredients together, taste, and adjust quantities to suit your palate. If you like, let the mixture sit for an hour or so to let flavors meld, stirring every now and again. Toasted walnuts. Pure maple syrup. A hint of vanilla. A burst of salt.